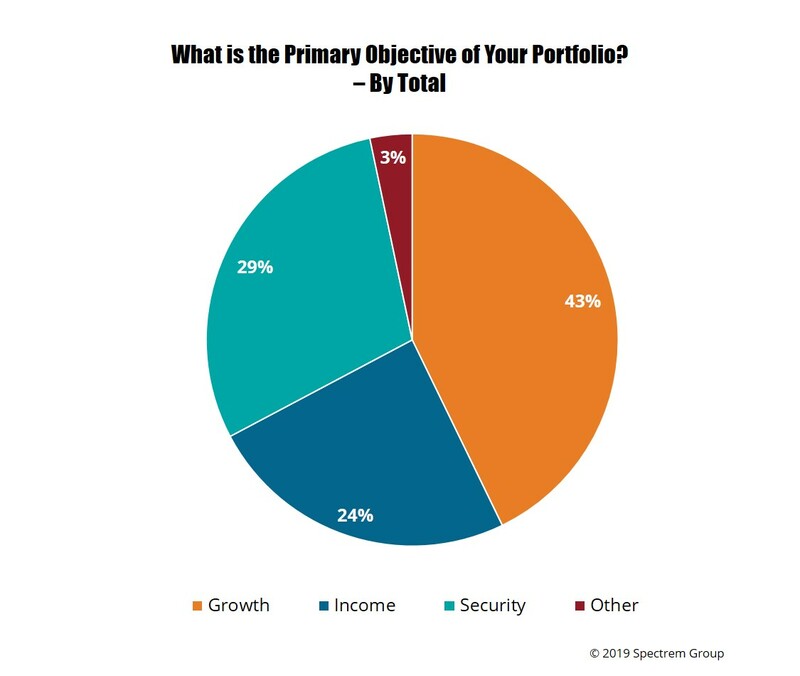 Spectrem’s study Primary Objective of Portfolio looks into the three general motivations – Growth, Income and Security – for which investors invest, and then identifies the types of investors who focus on each of those three objectives. From there, it is easy to understand why investors move from one objective to another over time. It makes sense that the age of the investor would impact the decisions they make related to growth, income and security. At a young age, investors are likely to look for growth in their assets level. As they get older, they lean toward the income they need in retirement, and eventually their objective becomes the security their portfolio offers when they are no longer working and creating more assets. But the most revealing research from the Primary Objective of Portfolio study is that very knowledgeable investors lean heavily toward growth, perhaps believing their knowledge can lead to better-than-market gains. Many knowledgeable and intelligent investors have suffered losses in the market and in involvement with other products, but that does not prevent them from going all-out to try to make as much money as they can, despite the risk involved in speculative investments. Beginning at the beginning, among all investors, 43 percent point to Growth as the primary objective of their portfolio. While this points to those investors for whom Growth is the primary objective, realize that very few investors give up on growth entirely. Even wealthy retired investors have some assets invested in products that offer an opportunity add to an investor’s bottom line. Twenty-nine percent of all investors point to Security as the primary objective of their portfolio, and this is notable when looking at the percentages based on age. Eleven percent of Millennials and 15 percent of Gen X investors lean toward Security as their primary objective, and no one is going to argue against putting a majority of investable assets into products that are going to provide security well down the line. As for Income, the purpose to provide a regular distribution of funds at a designated time in the future, 24 percent of all investors claim that as their primary objective in investing. The highest percentage of investors who lean toward Income as the primary objective are those who are in the lower levels of income among investors with a net worth of $100,000 or more. Among investors with an income under $100,000, 29 percent focus on future income as their primary objective, almost equal to those in that income segment who lean toward Growth or Security.